Harriet Alma Estelle (Nagel) Kruckman, 88, of Glencoe, died Wednesday, Oct. 14, 2016, at Glencoe Regional Health Services Long Term Care. A Mass of Christian Burial will be held Thursday, Oct. 22, at 11 a.m., at the Church of St. Pius X in Glencoe with the Rev. Anthony Stubeda officiating. Urn bearers will be Cory Kruckman, Chad Kruckman and Nicole Kruckman. A private family interment will be held at Fort Snelling National Cemetery in Minneapolis. Harriet Alma Estelle (Nagel) Kruckman was born Oct. 11, 1927, in Selfridge, North Dakota, the daughter of Fredrick and Elfia (Olson) Nagel. She was baptized as an infant at a Lutheran church in Selfridge, and confirmed in her faith as a youth in 1942 at St. John’s Lutheran Church in Arlington. She was educated in Arlington, graduating with the Arlington High School class of 1946. On Aug. 25, 1951, she was united in marriage to Floyd Kruckman at the St. Clara Catholic Church in Clara City. They made their home in South Dakota, Marshall and Glencoe. Their marriage was blessed with four sons, Kevin, Kelly, Kurt and Keenan. The couple shared over 59 years of marriage before Mr. Kruckman’s death on July 9, 2011. In addition to being a loving wife, mother and homemaker, Mrs. Kruckman worked in the factory at Green Giant and Starkey Labs in Glencoe, retiring in 1987. 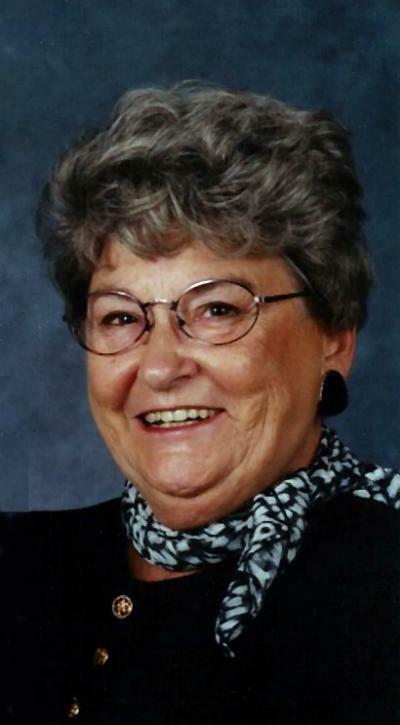 She was a member of the Church of St. Pius X in Glencoe. She enjoyed fishing, dancing, reading, going to the casino, sports and socializing with family and friends. She treasured the times spent with family and friends. She is survived by her sons, Kevin Kruckman of Northfield, Kelly (Kathy) Kruckman of Glencoe, Kurt (Patty) Kruckman of Glencoe and Keenan Kruckman of Glencoe; grandchildren, Nicole Kruckman (Chris Weber), Chad (Jalissa) Kruckman and Cory (Ashley) Kruckman; great-grandchildren, Grady Kruckman, Kinsley Kruckman, Brayden Kruckman and Ethan Kruckman; brother-in-law, William Kruckman of Fairfax; and nieces, nephews, other relatives and many friends. She was preceded in death by her parents, Fredrick and Elfia Nagel; husband, Floyd Kruckman; grandson, Justin Kruckman; sisters and brother. Arrangements were with the Johnson-McBride Funeral Chapel of Glencoe. Online obituaries and guest book are available at www.hantge.com.